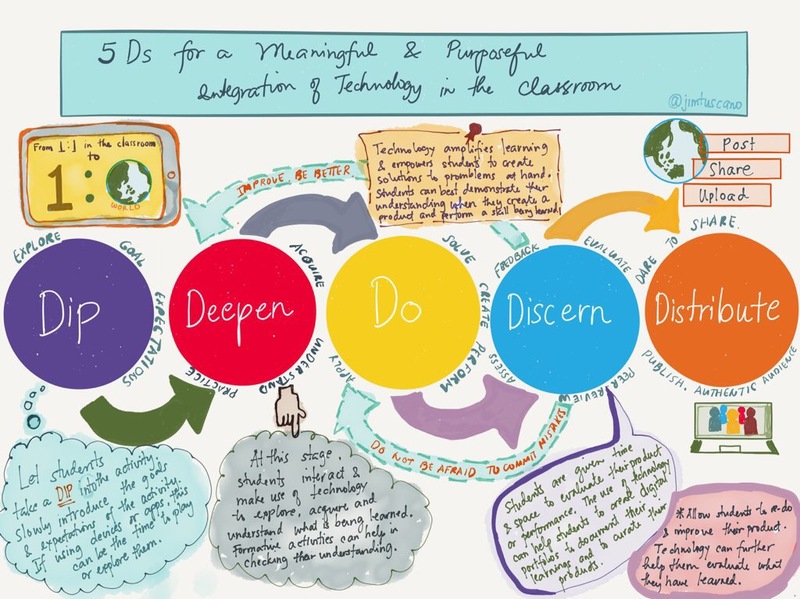 5Ds Framework: Authentic, Meaningful, Purposeful EdTech Integration | Edtech, Go! If given enough opportunity and proper guidance, students are also capable of evaluating and reflecting on their work, improving them until they become satisfied with and proud of what they have accomplished. These sets of beliefs pushed me to go back and reflect on my own experiences of integrating technology in the classroom. Out of the many episodes of self-reflection and evaluation, I came up with the 5Ds Framework in using technology in the classroom. The framework works in a natural flow, progressing from one stage to another, similar to how the different parts of teaching and learning happens in the classroom. Dip-Deepen-Do are the most obvious stages that were completely derived from a regular classroom session. However, Discern and Distribute stages were added and are strongly emphasised because of the advantages brought about by technology integration in class. In fact, a closer examination on the Discern stage would even reveal that the framework does not really follow a completely linear progression. 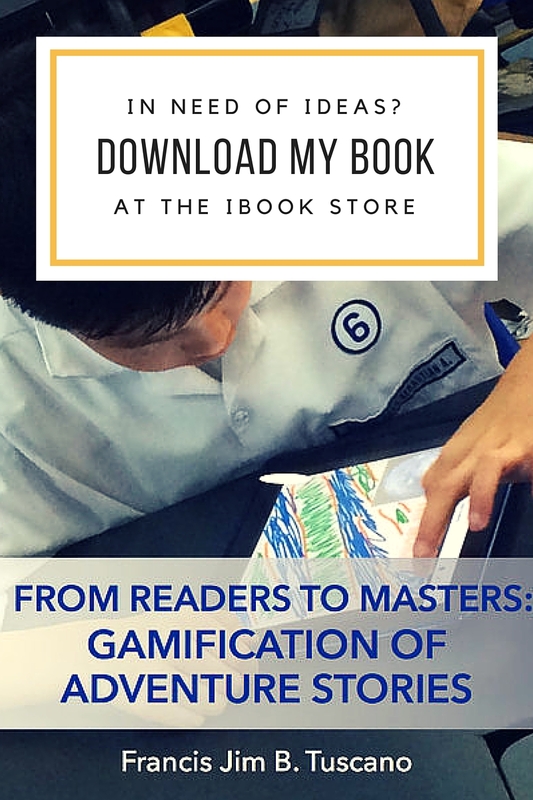 Depending on the activities happening in the classroom and on the progress of the students, the teacher following the framework can in fact go back to an earlier stage to make sure that the students are learning what is being taught. 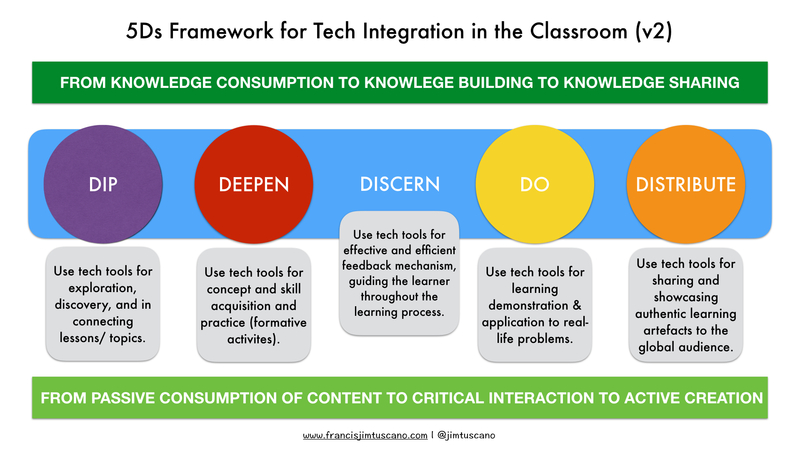 5Ds Framework is an instructional design guide that supports educators and learning designers to integrate technology in the classroom purposefully. The learning model aims to foster the 4Cs of 21st century skills through letting learners move beyond passive content consumption to critically interact with the content and finally, to actively participate in creating authentic products or performances that demonstrate their learning, ready to be showcased or shared to a global audience. In other words, 5Ds Framework gives learners the opportunity to participate in creating and sharing knowledge to the global community, immersing themselves in a culture that actively takes part in building knowledge and using this knowledge to connect with other learners around the world. If taken further, the shared knowledge or product of learning becomes a knowledge that other learners can interact critically and be used to further build up what they are learning. The learning process, now becomes a cycle, enabling learners to use what is shared online to further create more knowledge.